Significant changes to the Family and Medical Leave Act take effect January 16, 2009. These new FMLA regulations, which were released on November 17, 2008, have not been revised since 1995. 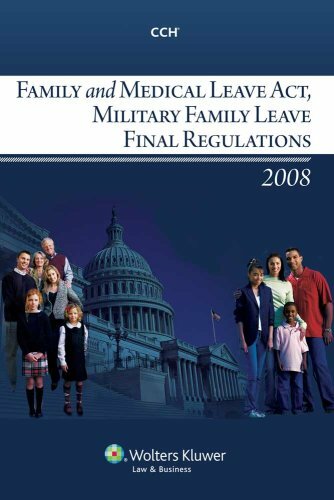 Also, the final regulations implement the new military family leave provisions that were signed into law by President Bush in January 2008. The provisions provide job-protected leave rights to employees who are the spouse, child, parent or next of kin of a "covered service member" to take a total of up to 26 workweeks of leave during a 12-month period to care for the service member. The expanded FMLA also permits employees to take up to 12 workweeks of FMLA leave due to qualifying exigencies arising out of the fact that the employee's spouse, son, daughter or parent (i.e., covered military member) is on active duty status, or being notified of an impending call to active duty. Now is the time to learn about these changes and more. Family and Medical Leave Act, Military Family Leave, is a must have for anyone who has to manage Family and Medical Leaves!